Turner and Harrison of Philadelphia manufactured this fabulous inkwell, naming it the "Regal Reservoir Penset". 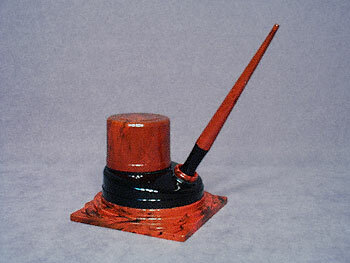 Made of sumptuous marbled rust-colored and black bakelite, the 3-5/8" square base steps up to a round inkwell. Beneath the bakelite cover on top is a glass ink bottle which has a label with instructions for ink usage. The cover is fully marked inside, to include "Patents 116934-2213931", indicating it was made somewhere around 1940. The inkwell itself stands 2-3/4" tall. The nib of the 6-1/8" long pen is embossed "T - H Iridium Tip 410 Regal". There are two scratches on the pen and one small one on the inkwell. 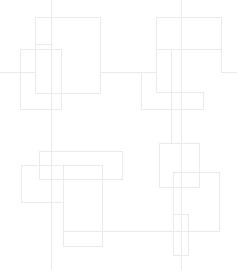 These however in no way deter from the magnificence of this superb piece.